BAD!SLAM!NO!BISCUIT! is your every Third Wednesday of the Month POETRY SLAM! 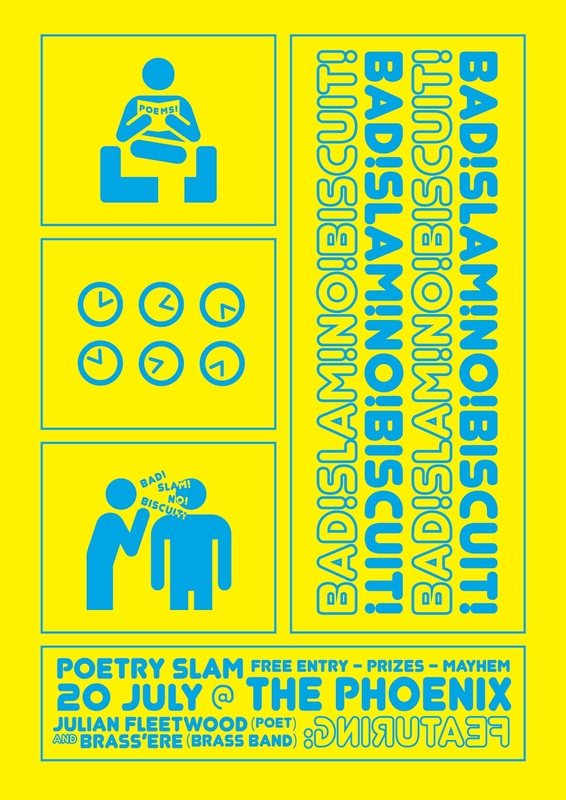 Bring words, elastic, moments, arm waving, whispering, chanting, the grand potato and your uncle to BAD!SLAM!NO!BISCUIT! at 730pm. He’s a poet from Canberra and currently the writer in residence at the Front, which means they have to give him free coffee. AND FREE COFFEE IS AWESOME! If you ever go to the Front and Julian Fleetwood is there hit him up FOR FREE COFFEE! And make him perform a poem too! They’re a brass band. AND BRASS BANDS ARE AWESOME! They have brass instruments and can play them and will be at BAD!SLAM!NO!BISCUIT! playing them. BAD!SLAM!NO!BISCUIT! gives you a microphone, a stage, an audience, five judges, prizes, many prizes, two MCs, two minutes, the Score Adder and THE MASTER OF CONFLICT. All in a pub so you can drink alcohol! 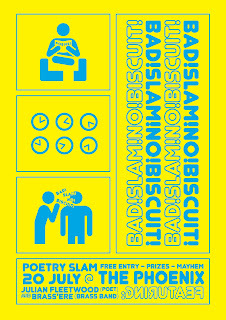 So join your hosts Andrew Galan, Jacinta, the Master of Conflict and the Guest Score Adder for BAD!SLAM!NO!BISCUIT! NO MUSIC, NO PROPS, 2 MINUTES, YOUR ORIGINAL MATERIAL! 7:30PM The Phoenix, East Row, Canberra.